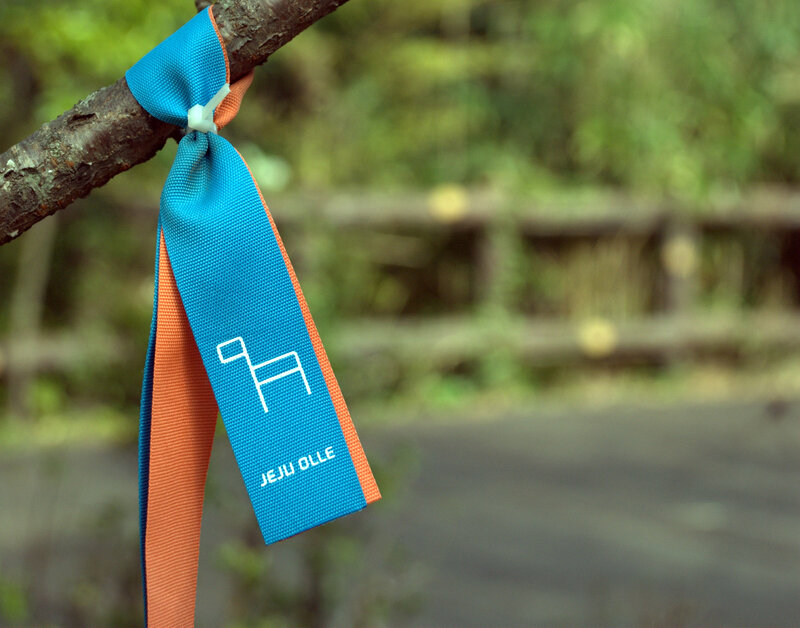 Karl Graf was in Seoul and saw an airplane coming in to land a day before the June Jeju Olle Trail “Walk Together” event was scheduled to take place. 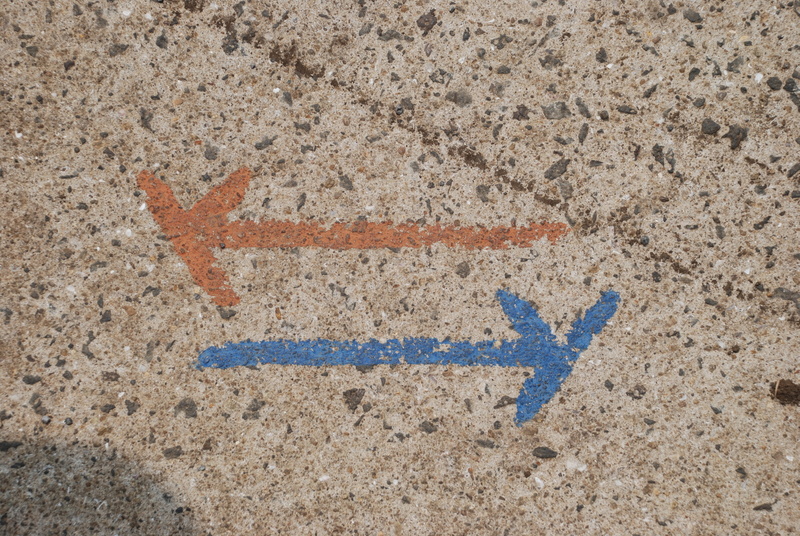 “I checked Facebook on my phone and saw an announcement about ‘Walk Together’ and I put two and two together,” he says. 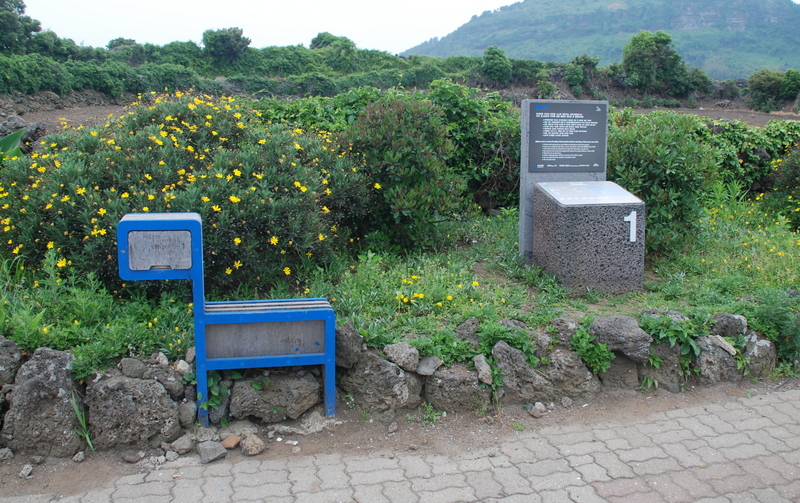 Another day later and here he is in the countryside setting of Jeoji Village on Jeju Island. 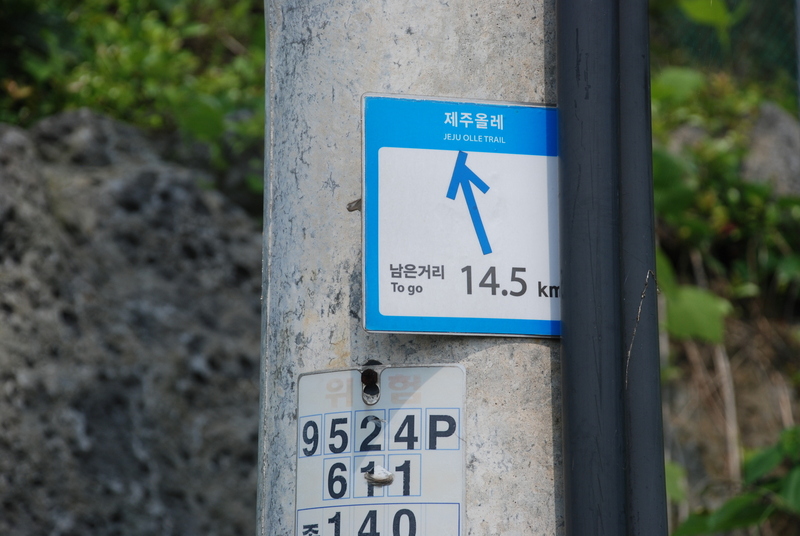 The South African, who spent time working on the island as an English teacher, but has now relocated to the mainland, has just successfully finished an 18.8 km walk on Route 14-1. 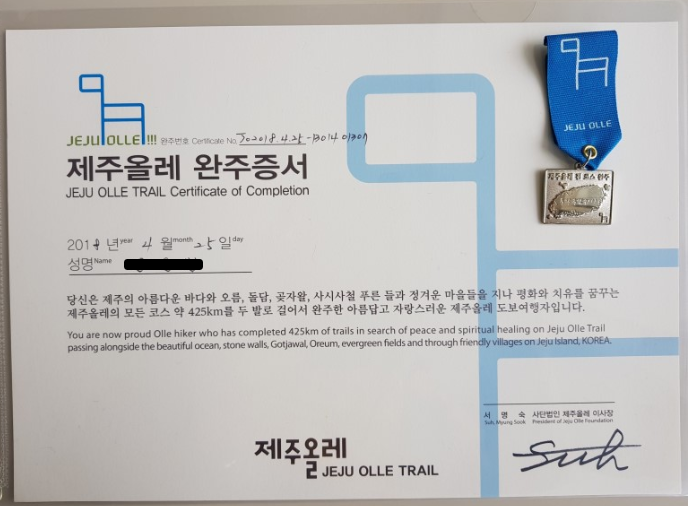 Graf also became one of the first foreigners to complete the Jeju Olle trails, finishing them all on the same day the final route, Route 21, opened in 2012. “I always finish a route with a feeling of satisfaction… you are tired, but it is a nice feeling that you have,” he says. 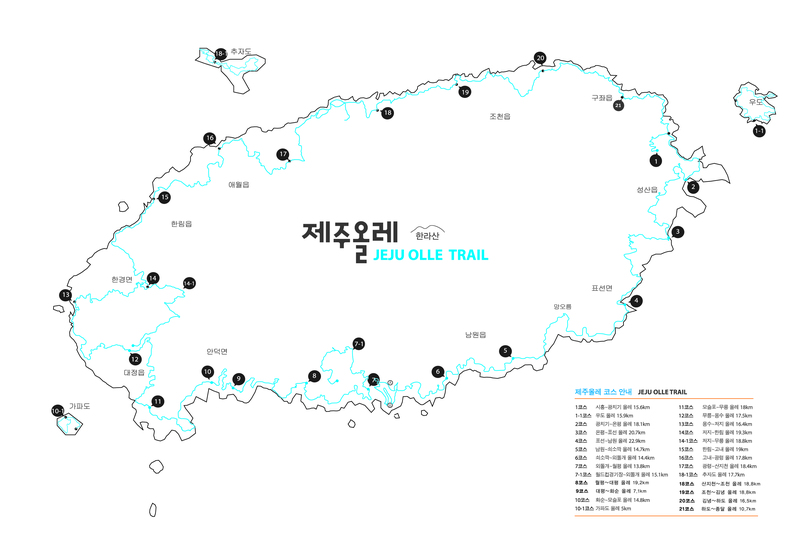 “Walk Together” is a monthly event held by Jeju Olle Trail which is supported by Olle office staff and Olle founder Suh Myeong-suk. It is almost like a mini-walking festival. On Sat. 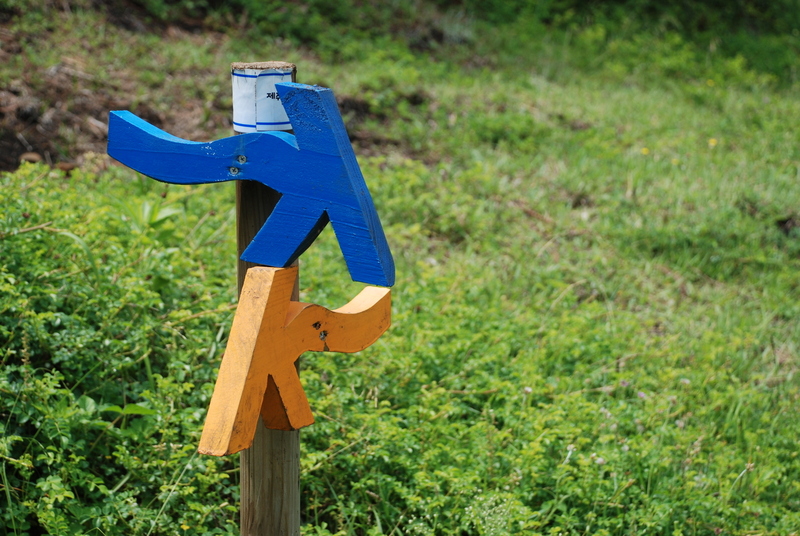 June 22 the route selection took in large portions of the island’s Gotjawal forest. 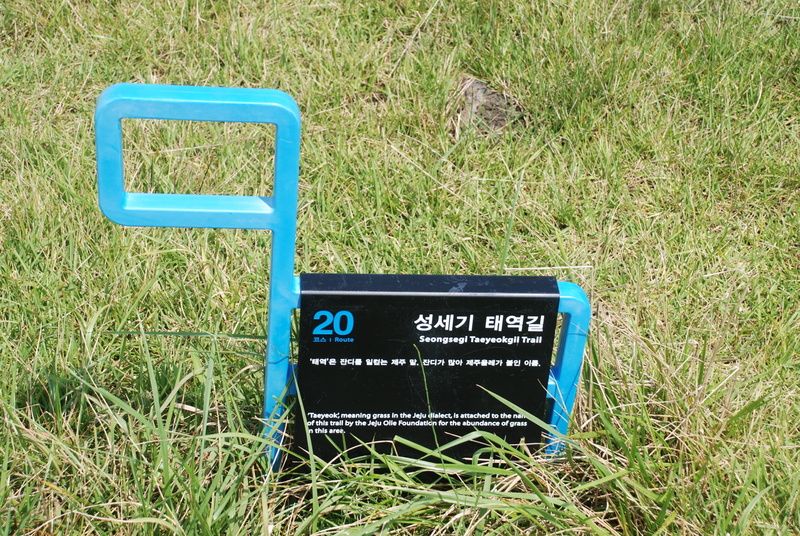 “It is as wilderness as you can get in terms of Olle walking in Korea. You have no cell phone signal. That’s quite a wonderful thing keeping in mind how connected we are in Korea. We’re never away… we’re never isolated… here on this route you reach a sense of isolation and peace… and tranquility,” he says of his experience. Even though it was a little bit busier on the route due to the event, for Graf it was still a very enjoyable day in which he got to meet a lot of people and learn a lot about Jeju’s culture. One visitor from Germany took part as did a Korean-American retiree and another retiree from the mainland who acted as a wonderful unofficial guide for the day. 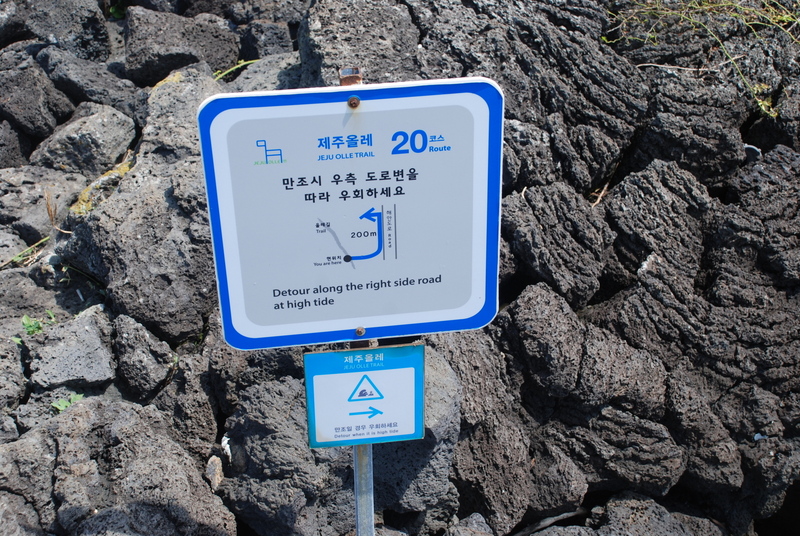 Graf has also gone above and beyond the shores of Jeju Island in search of Olle. He can lay claim to being the first foreign Korea-based Olle walker to jet over to Japan for Kyushu Olle. He walked the Kagoshima Ibusuki course during a long weekend break earlier this year. In the future he wants to return to Japan to complete more routes, but is also interested in the Yangpyeong Mulsorigil on the outskirts of Seoul. 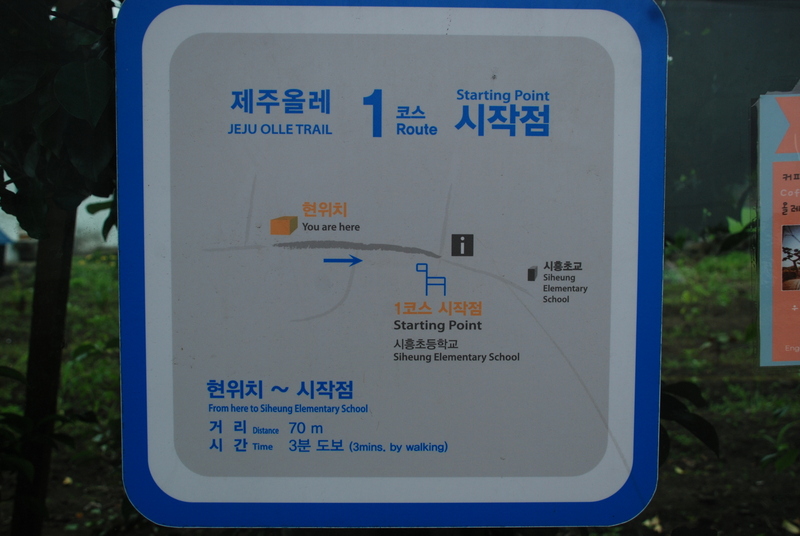 Here the Jeju Olle Trail team was responsible for much of what you can walk. 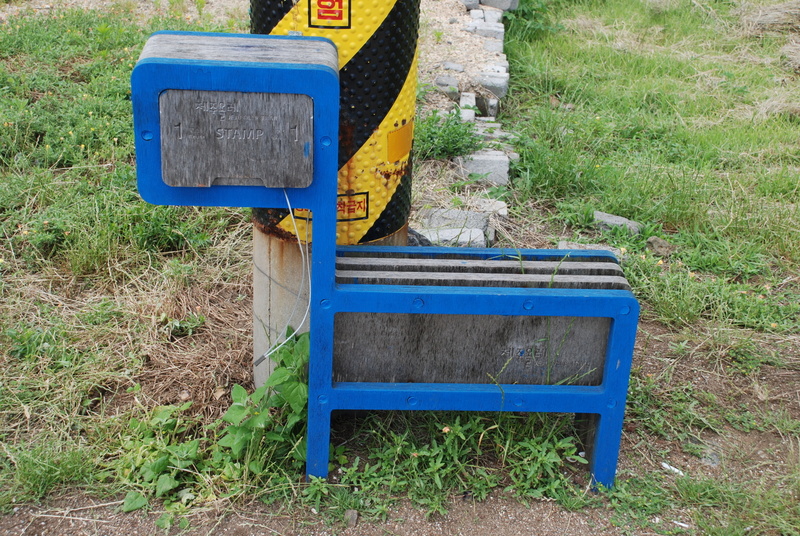 “It is as close to that ‘peace of mind’ you can probably get in Korea… you get to see Korea is a completely different light when you walk through these small villages and narrow pathways with adjacent stone walls… it is really fascinating,” says Graf.